←  It’s Morel Season in the Northern Chicago Suburbs! This season was largely a bust for me. The good news is that I’m feeling pretty good about next year. I have a few good habitats staked out for morel hunting in 2012. I found enough morels to make a couple omelettes but too few for anything more extravagant. And I spent a lot of time looking in the wrong places. I found some of the right places last night. I dumped some spent dirt from one of last year’s plant pots behind the woodpile, and spotted a nice cluster of expired yellows. It was a nice evening, so I decided to have a tramp through a nearby wood. Upon leaving, I roamed around the area I normally walk right by as I enter the forest. Yup, you guessed it. Another nice morel patch, with some large, past-due specimens. I went home empty handed, but full plans for next May. 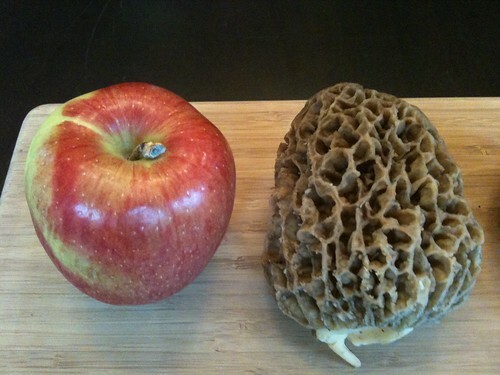 This entry was posted in edible wild mushrooms and tagged hunting, morels. Bookmark the permalink.